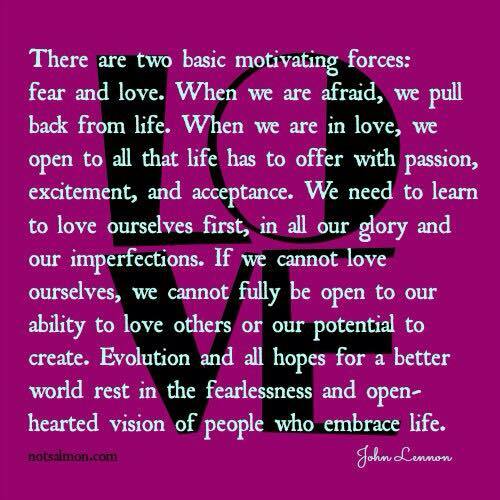 Love or Fear? Heart or Mind? Cake or Death? I’m not sure if John Lennon was the first to explain that we all operate from a place of either love or fear; I would have guessed it was Gary Zukov. Regardless, I use “love vs fear” as a quick-check on my state of mind, both before I react and when I’m exploring my insides. It’s such an easy and effective tool. So thanks, whoever you are! PS: Thanks, Eddie Izzard; laughter is the best medicine! Yesterday I drove to South Hadley for a massage. It’s about a 20-minute ride, door to door with little traffic, even during the time on Highway 391. 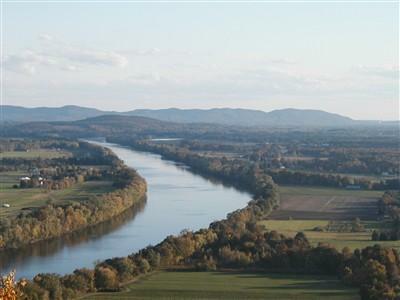 Fall is moving in, here in western Massachusetts, softening the light, muting the colors and, on a clear, sunny day like yesterday, making any ride a “Pinch me, I live here!” experience. There were wonderful punctuations, like the Van Gogh, midnight blue water of a river I crossed and the occasional shock of a leaf-turned tree, so intense in color it seemed otherworldly. At a certain point, the cars I drove behind created a gentle dust up from the pavement to about ten feet in the air; yellow leaves the size of silver dollars spiraled in a delightful dance, reminding me of Colorado’s amazing Aspens. I can see why this is the favored season for so many who live here, especially during years like this one, when the warm weather returns for an encore. The renewal and bursting blossoms have long made me a “Spring Girl,” especially since I grew up in The Garden State, where the abundance of flowering trees, bulb plants and perennials is unparalleled. Being a true Aries, I love the idea of a new beginning; I suffer through those weeks in May that lead up to throwing off my layers of clothing to play freely outside. As she worked the tension out my muscles yesterday, my masseuse explained that pulling on her socks and boots was why she loved Autumn. Although I couldn’t completely agree, we did see eye to eye on the colors and textures, the rich, warming soups and the scents of bread and wood fire that this season brings. I confess, “cozy” is one of my favorite words and yes, the cooler weather makes sweaters and sofa blankets wonderful comforters. On the drive home, I realized why I’m enjoying this season like never before. Instead of thinking “Winter’s coming soon,” I’m living in each moment, another silver lining, another wish fulfilled since I survived cancer last year. How grateful I am for being given another year of this life! With the wonder and curiosity of a child, I’m taking each sunrise, each blushing leaf and each sweet breath of crisp air at a time. I’m looking back on years in the work force, most recently as a supervisor in the billing department of a large, non-profit behavioral health organization. I was proud to be a member of the staff, because I valued the services the organization provides, including crisis intervention, residential facilities for detox and recovery, a variety of family services and day programs for individuals with a variety of behavioral challenges. These services are not only important, they’re crucial to the wellbeing of any large community. What surprised me was the way we employees were treated; I’d expected more from an organization with a socially conscious mission statement. Instead, the practices mirrored the model I’ve seen time and again and which is, sadly, “the norm” for most US corporations. Employees are doing the work previously assigned to two or three people, the staff is kept at “skeleton crew” level to save money, the lunch hour is now half an hour, employees who use their sick time are reprimanded, pay check deductions for benefits such as healthcare increase every year and the annual raise averages 3%, if you’re fortunate enough to be working for a company where wages haven’t been frozen. When employers treat the workforce this way, the atmosphere may be pleasant on the surface, but if you talk with individuals, you’ll find they’re disgusted, exhausted and see their job as “doing time” until they’re able to retire, which for many folks is not at age 65. I’m sure there are some enlightened employers here in the US and reading Mr. Stodd’s post gave me a sense of hope for the future. Unfortunately, I think those working “9 to 5” these days are less than satisfied with their leaders. TGIF, indeed! The Social Age rewards agility: the ability to frame and reframe problems, to deploy our communities and experiment, question and react at speed. It’s less about mastery of process, more about communication and collaboration. Social Leaders demonstrate a rounded skill set: a holistic mastery of these skills and a consistent demonstration of these behaviours over time. Reputation is founded upon this consistency. 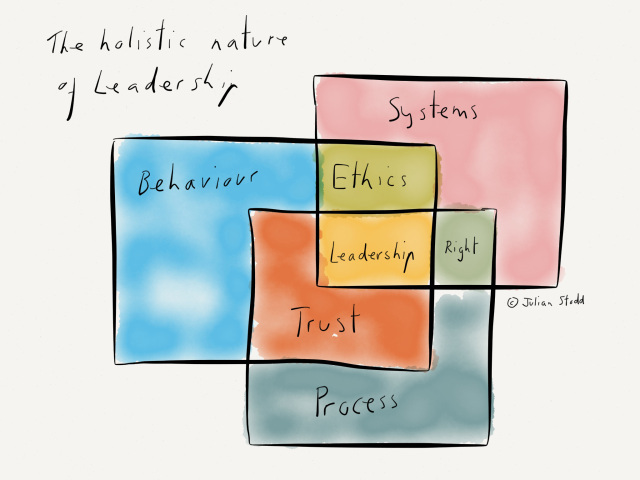 We can reduce leadership to be viewed within different frames, but it’s only in the holistic application that we can be effective. In traditional terms, it’s a mixture of hard and soft skills: sure, there is an element of technology that needs to be mastered, but there is very little process. Social Leadership is more about storytelling, sharing and reciprocating than it is about performance reviews and competency frameworks. It may exist alongside these things, but the authority is garners is consensual, granted through the community. Because he’s had a lifetime to practice. He dances, all alone and unencumbered. He smiles at his shining reflection. Where fear and longing and I reside. That’s finally frozen my heart. For words declaring love that never blooms. Scars replace years of careless wounds. The farther and harder I fell. And settling for less no longer serves me. I spat upon myself, just for caring. Why Am I Here, You Ask? He and I discovered each other decades ago. We bumped into each other years after we’d attended high school and found ourselves back in our hometown. A few days later I asked him to see a film with me; I was temporarily living with my parents and needed a night out badly. When we returned to his house, he invited me in for a beer and before I knew it we’d talked effortlessly until four in the morning. He was smart and I liked it as much as his unique sense of humor. He was a musician, which delighted me and guaranteed many hours of conversation. Our sensibilities were complimentary; that first night we spoke about Miro, the smell of rain in a forest and the beauty of weather-worn buildings and the rusty patina of ancient metal. Our talks were at first a delightful see-saw of discovery, then became exclamations of agreement and finally, indulgent, intoxicating hours of thrall and excitement, lasting deep into the dawn, with the pulse of connection overcoming any hint of fatigue. He loved me. He drew me close and all of my little girl fairy tales, teenage romanticism and the aching sorrow of my first love lost became trivial and silly. This was the love I never dreamed of, this was a place I’d never been. Even the most exaggerated expressions of devotion were no match for my feelings, no other experience had prepared me for the way he made me feel. He called me a miracle, I called him mine and, suddenly, everything around me looked brighter, teeming with life, as if God had turned up the volume and polished the sun’s rays, just so we could have a world worthy of our joyful and holy connection. He took me camping, I took him to art museums. We listened to music like people read scripture. Soon, a lyric or a riff or a voice became discoveries we could hardly wait to share with each other. Every weekend was a feast for the senses; I cooked and he marveled at my creations, we walked till our legs ached as we discovered nature’s treasures. He read poetry as my head rested on his chest, I read him stories as he stroked the spirals of my hair. He passionately ranted about injustices, big and small, and in those moments I was distracted, loving his boundless energy and the conviction that was his spirit’s signature. We sang, we danced, we went to dives for dinner and to diners for wee-hour breakfasts. He practiced his sax and I sat at my loom and when our work was done we collapsed into each other, grinning into each other’s eyes and fitting together easily as we hugged. He murmured “mmmhhh…” every time our lips moved together. When we made love we discovered new landscapes, with delicate fingers that drew sighs of contentment and gasps of pleasure. Our scents and limbs and greedy hands mingled and moved and I marveled at just how close we could become. It seemed we became one, soul to soul, cell to cell, through and through. More than once, in afterglow, I thanked God for my lover and our love. Our weekends made us beautifully vulnerable and sweetly sensitive; Monday was a cold shower, a shock to the senses as I found myself back in the harsh, hard-edged place outside the chapel of our union. I felt the need for a layer of protection as I slowly became acclimated to reality. He broke up with me. I was stunned and completely blindsided and he was cruel, making it more unbearable. With a single, cold sentence he slashed my heart open, mere hours after he’d tenderly kissed me goodnight. He said he’d felt a door close inside of him, but I’d have to wait for a clearer explanation of his decision. To make matters worse, we were bound together for the weekend. What was meant to be a lovely escape in the woods became what seemed like a life sentence in a small space where creating distance was impossible. Even the weather was in on the conspiracy; it rained so long and hard I couldn’t escape outside. At midnight, he turned his back to me and fell asleep, under the tree limbs that scratched the A-frame’s roof. I stared at the wooden slats above me, wide awake till dawn, my mind racing and searching every crevice of my memory for something that would explain what I’d done wrong. He finally told me, many silent days later. He pulled out a scrap of paper with notes he’d written down to make his explanation efficient. Pushing through a thick fog of denial, I listened closely to each word, as if I needed to memorize them all. Suddenly, I realized he was describing things that couples worked through and that I’d made no unforgivable mistake. Nothing he mentioned had any more importance than the cliché of an uncapped tube of toothpaste. I didn’t speak these words to him, I made no protest. I was young and confused and not brave enough, yet. And what would be the point? There would be no reconsideration; if I knew one thing for certain it was that his mind wouldn’t be changed. He finished talking and I simply said I understood. I asked him to leave, holding back my tears until I closed the door behind him, closing the door on the “us” I’d taken for granted. I leaned back and listened as he shut his car’s door. I listened as he turned the key and the engine sputtered and growled. I listened as his car’s tires splashed through puddles, the noise fading away as he switched gears and drove faster. And I thought how convenient it would be if I could just put my life in reverse, so I could skip our first evening together and avoid all the long evenings without him that were just beginning. I’ve got lots to be thankful for, but the rain’s made me melancholy. The kissing couples outside my window are tugging at my heart. I want to hunker down and get cozy with more than just a book. The blue mood is no surprise; I’ve been going it alone for years. I’ve come through much worse, by keeping faith by my side. So I’ll be patient as the mood swings and wait for my rainbow to appear.